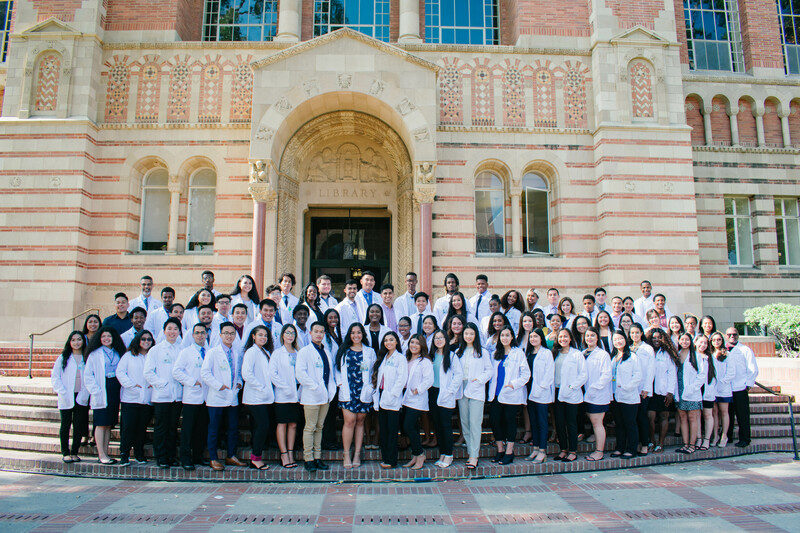 At the UCLA/Drew SHPEP, we are committed to developing future leaders that will change the face of medicine, dentistry and nursing as well as to improve health care delivery, policy and research in underserved communities. Our faculty advisors, caring staff, community members and supportive fellow classmates are part of a vibrant campus community that will enthusiastically support you as you pursue your personal goals and turn them into accomplishments. The UCLA/Drew SHPEP mission is to serve as a model learning community in which scholars examine a variety of healthcare issues affecting medically underserved communities through problem-based learning cases, lectures, clinical experiences, small-group discussions, and a research project. Scholars will also improve their learning skills and strengthen their foundation in science. Upon completion of this six-week program, scholars will be more aware of the urgent need for health care professionals in medically underserved communities and of the educational pathways that lead to providing medical, dental, and nursing services to underserved populations. Clinical Experience: In addition to the rigorous academic enrichment curriculum, all scholars will participate in a community-based health fair, weekly problem-based learning workshops on clinical cases, and a practical dental laboratory experience. Meals: Housing room key provide access to the dining hall. Breakfast and dinner are provided, 7 days a week, in the residence hall dining commons. A stipend is provided to cover the cost of lunch throughout the duration of the program. Lunch can be purchased at on-campus eateries. Travel Assistance: All scholars will be provided with travel assistance to and from UCLA. Stipend: A $600 stipend will be disbursed in two installments during the first and fourth weeks of the program. Housing: Scholars will reside at the UCLA dormitories for the duration of the 6-week program. Two-three scholars of the same gender will occupy each room. Health Insurance: Scholars are required to provide valid proof of health insurance coverage for the State of California prior to matriculation. UCLA/Drew SHPEP will cover costs if the scholar does not have insurance. Social Activities: Scholar-initiated weekend tours of places such as the Fowler Museum, Venice Beach Surf and Sand, Santa Monica Beach Exercise Walk, and the Getty Museum.